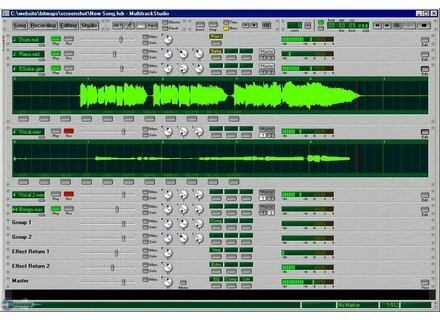 MultitrackStudio Professional, General Sequencer from Bremmers Audio Design. Bremmers Audio Design has updated MultitrackStudio to version 6.3. The new release includes a General MIDI compatible instruments collection called MultitrackStudio Instruments. 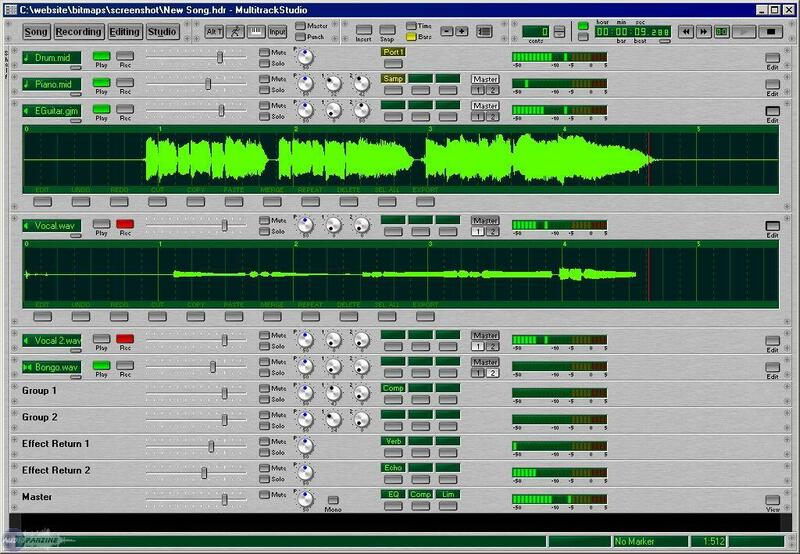 The MultitrackStudio Instruments are fully modeled, they don't contain any samples. This allows for randomizing many parameters which helps reducing machine gun effects. The 6.3 version download is under 4 MB. Audio demos are available at www.multitrackstudio.com. The electric guitar sounds use the Guitar Amp effect which appears in the Pro Plus edition only. MultitrackStudio Instruments: built-in General MIDI sounds. MIDI pitch bend range can be adjusted. Undoing "tweakable edits" now undoes the last tweak only, rather than all tweaks. Some effects use significantly less CPU power if there's no audio signal present. Could not create medium-quality mp3 files using Lame_enc.dll. Score editor: 8va setting wasn't read from song file. MP3 files starting with corrupted frames now open. A couple of other bugs. The new version is available free of charge for users who purchased the program after October 1, 2009. Older versions can be upgraded for $39 (Pro Plus) / $23 (Professional). Prime Loops Club Bizarre "Club Bizarre" features elements for winding up a euphoric climax, with 200 tech drum, synth hooks and pumping electro bass loops, including a section of "Freak Loops" for adding intrigue and individuality to your tracks.